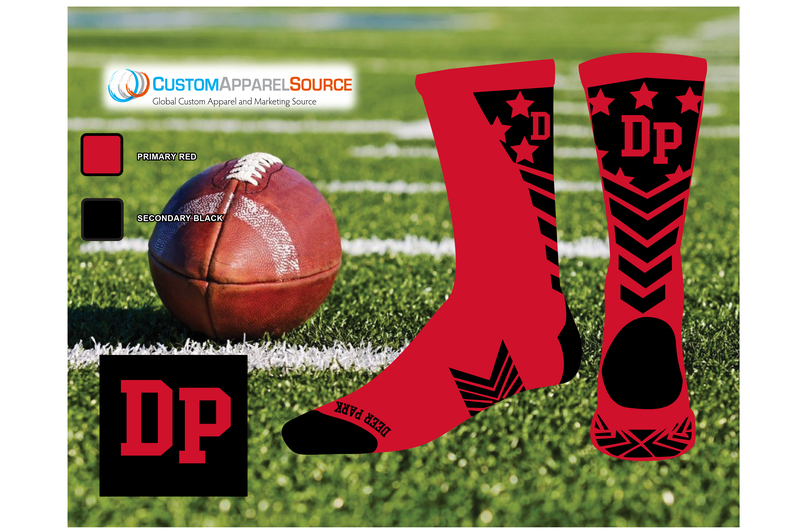 Fall is just around the corner and that means…football games, smell of leaves, tailgating, watching your kids play lacrosse, volleyball soccer and football over the weekend…we have already started taking orders for team gear and socks. We make a variety of team sports socks from nylon to cotton to sublimated. Starting as low as $10.50/pair and minimums are 24. We just did a sock project with custom packaging for a national cross fit event in California (see pic and these are sublimated)! Sizes Youth to Adult Extra Large. We can knit 2-3 colors and quick turnaround times. 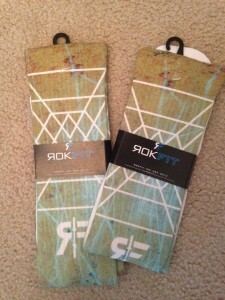 Or you can print on a sock any image you come up with! 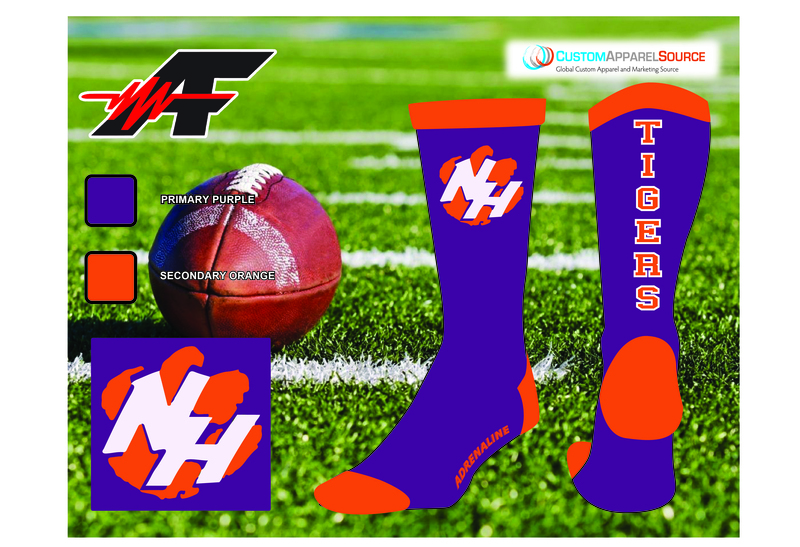 I can design them, just send me your school colors and logo. See images for design ideas and our capabilities.